Readers: The following post is written by a new guest contributor who asked to remain anonymous. If you are interested in reading more about this subject, or more from this author, please let us know! Although this study comes from the UK, these issues are also prevalent in the United States. The recommendations from the UCL study include things like extension of transit routes and creation of volunteer driver programs. Fine – these things will indeed reduce the burden on those who most feel it. But what if there is something deeper? In the introduction, the 2014 UCL study explains conceptual links between transport and poverty such as theories of social mismatch and entrapment and social exclusion. But why do these exist in the first place? People with higher education and incomes, which generally lead to higher mobility and more choice in transport, move to the suburbs. Retail and jobs follow, making it more difficult for those with lower incomes and limited mobility to actually get to those jobs and retail, leading to increased social exclusion and reduced overall opportunities. Imagine the stereotypical image of the suburbs. Green lawns, wide streets, single family homes with the occasional apartment complex dotting the developed landscape. Large setbacks, giant surface parking lots. Rarely in one’s imagining of the suburbs does one picture people walking down the sidewalk, especially not along major roadways. Why would they? Everyone out here has cars…right? The suburbs also bring with them images of wealth and means to choose your own method of transportation. 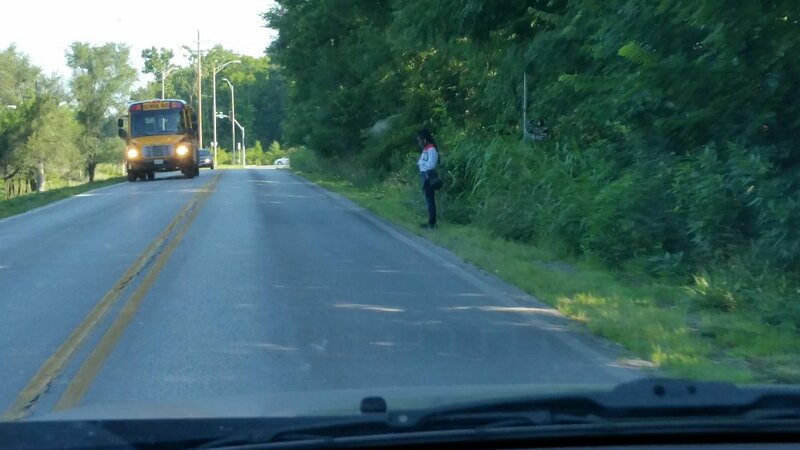 If there were people lining the sidewalks at bus stops along major roads, people driving by might wonder what that person was up to. Often, transit stops in these areas amount to nothing more than a sign on a post with no amenities for the rider, making it difficult or impossible for those with reduced mobility to even take advantage of the option. Is that what those who have moved to the suburbs really want? The visibility of transit infrastructure reminds passersby that there are people living and working among them that do not have the means, for one reason or another, to drive themselves from place to place. Perhaps they don’t have enough cars for people in the household. Perhaps they live somewhere else and have to get to the suburbs for a job. Regardless of their reasons, they are waiting on the side of the road, a visible reminder of the varying degrees of economic vitality that exist in an urbanized area. Perhaps this is why transit infrastructure in outlying areas is hidden in plain sight. As unobstructive as possible. Perhaps some of the same people that decry downtown areas for homeless people and signs of inequality relish living in areas that are poorly transit served because they don’t have the daily reminders that inequality exists in the world in the form of highly visible bus shelters and concrete pads. Perhaps not seeing people gathered in one spot waiting for the bus allows them the mental room to take comfort in those around them being of similar mind and socioeconomic status and therefore driving themselves anywhere necessary. Often people remark about how much “easier” it is to live in the suburbs with easy access to recreation, retail and other amenities. But is it also easier mentally, living without the constant reminders of poverty and social exclusion? Maybe. Further research is warranted on the connection between funding for public transportation and infrastructure and the motivation of voters approving new or increased funding. But the invisibility of transit infrastructure does nothing but exacerbate the issues of limited mobility and social exclusion. We can – and should – do better.